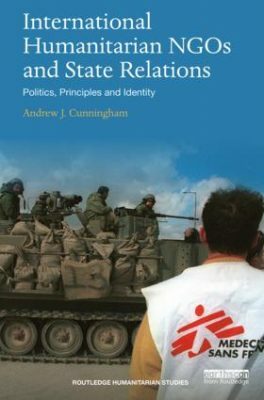 Using case studies of civil conﬂicts in Sri Lanka, Darfur, Ethiopia and Chechnya, this practice-based book brings together key issues of politics, principles and identity to build a ‘negotiation structure’ for analysing and understanding the relationship. The book goes on to outline a research and policy development agenda for INGOs to better adapt politically to working with states. International Humanitarian NGOs and State Relations will be a key resource for professionals and policy makers working within international humanitarian and development operations, as well as for academics and students within humanitarian and development studies who want to understand the relationship between states and humanitarian and multi-mandate organisations.